If your blog is not indexed by search engines, then it does not exists on the web. For any blog, search engines are like god. The amount of traffic generated by search engines is the key factor that decides success or failure of any blog. The basic WordPress blog setup is not well optimised for search engines. If you look at the problems of basic setup: URLs are not meaningful, titles are not well formatted and search engines does not know where is the content is & how to index them. Fixing all the above said problems is very easy as WordPress is highly configurable and there is a big community that works day and night by writing plugins to add new features. Lets see how to quickly fix them. The default URL structure of a post looks like https://www.techdreams.org/?p=82, but if the URL is rewritten as https://www.techdreams.org/microsoft/download-free-microsoft-windows-7-wallpaper it is more meaningful to Search Engines as well as for humans. Search engines depend a lot on the title of pages while ranking them against the keywords users search for. 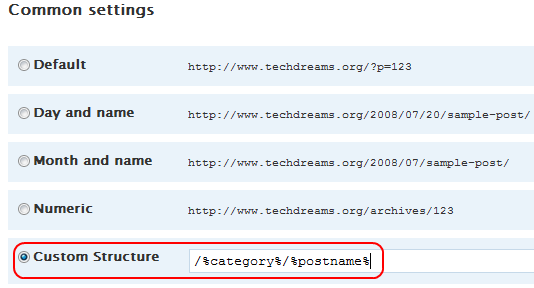 So titles of posts, archives, category listing, tag listing, pages, etc should be well framed. Even though the number of titles that needs to be optimised are many, fixing them is very simple. Just install All in One SEO plugin, it optimizes all the title structures search engine friendly. When we said just install, we really meant it. You need to just install the plugin and it will automatically optimizes all the title structures. There is no need to configure the settings. We should tell the search engines where is the content of our blog, what content needs to be indexed and how often they should come back for new content updates. This information is supplied to search engines using a sitemap file. To automatically build sitemap for your blog, Google XML Sitemap Generator plugin. Whenever you write a new article, this plugin automatically regenerates the sitemap in the background. Did this awhile ago – it really is pretty simple and definitely does help!